Sitting on the banks of the River Ouse since the the 11th Century, King’s Lynn is a historic trading port. In the 14th Century it ranked as the third most important port in England behind Southampton and London. 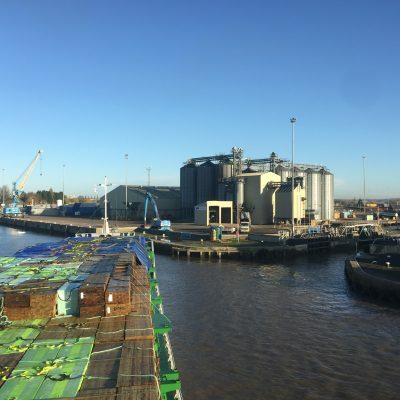 Yet today, many people living in King’s Lynn don’t even realise that the port is not only still operating, but is thriving and looking to the future. 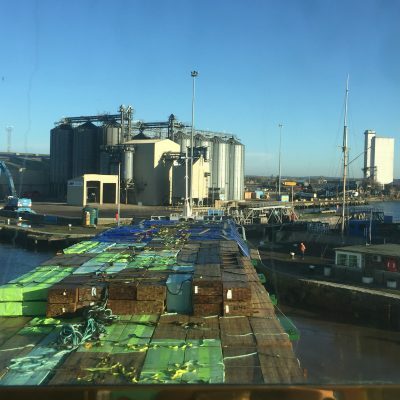 The port is one of eleven Short Sea Ports operated by Associated British Ports (ABP) and it handles approximately 500,000 tonnes of cargo each year, mostly consisting of timber, steel and grain. It even offers cereal & grain testing facilities on site. 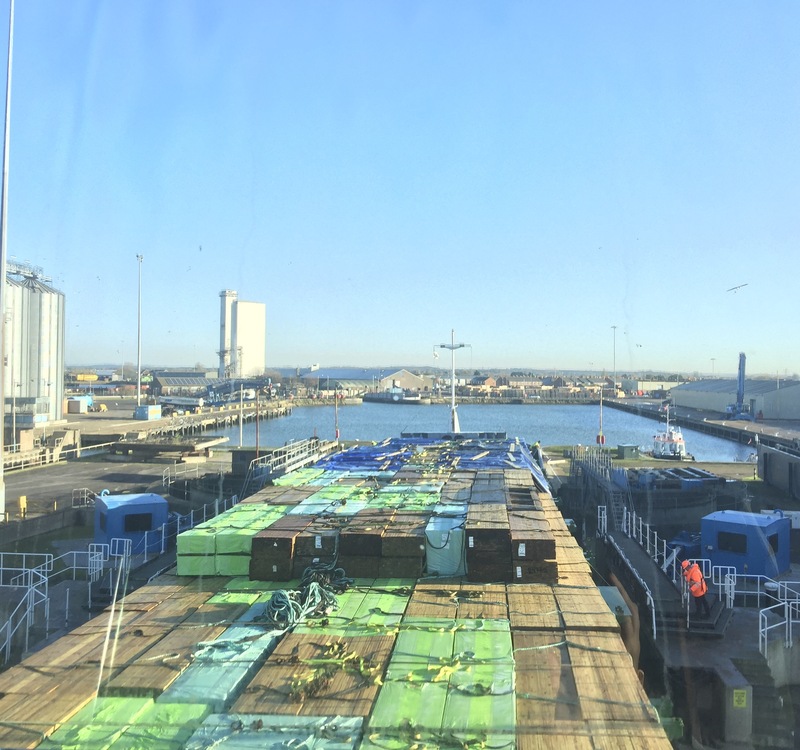 It is a relatively small port but is crucial to the local economy. It serves the local area not just by providing local jobs, but by serving industries many miles away, for example by supplying timber to local furniture makers. 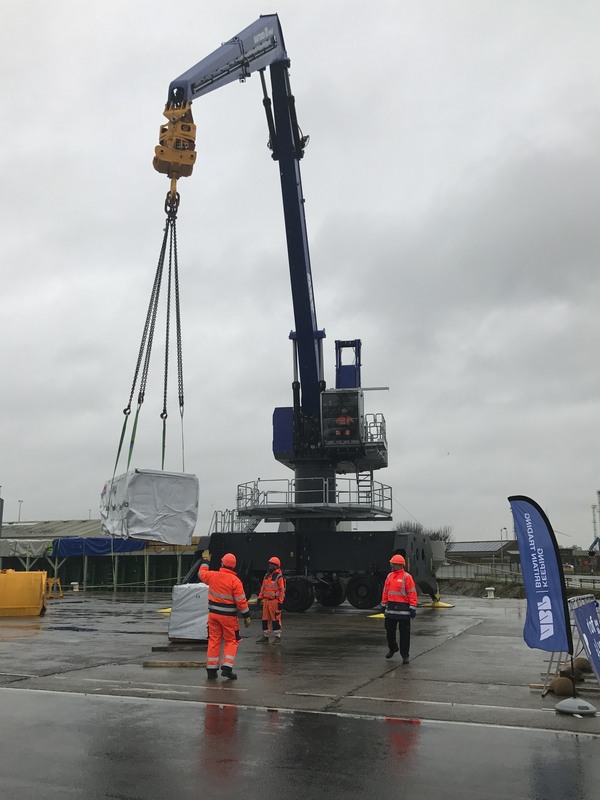 Last week I attended the official launch of a £3.3million investment in the Port, which includes new warehousing and a new £1.1million crane. The new crane is much larger than the others used at the port and is capable of unloading across the entire beam of the ship. I believe it is one of only four of this type of crane in the country, so is testament to ABP’s commitment to the future of King’s Lynn Port that we have one here. Sadly they wouldn’t let me play with the new crane but we did get to see a demonstration of it working and a tour around the port to see where the new warehouse is being built, which will have six bays. Each of which will be capable of housing an entire ships cargo. Ships up to 119 metres in length can use the port, however to be able to use the enclosed docks, they must have a beam of less than 13.8 metres. 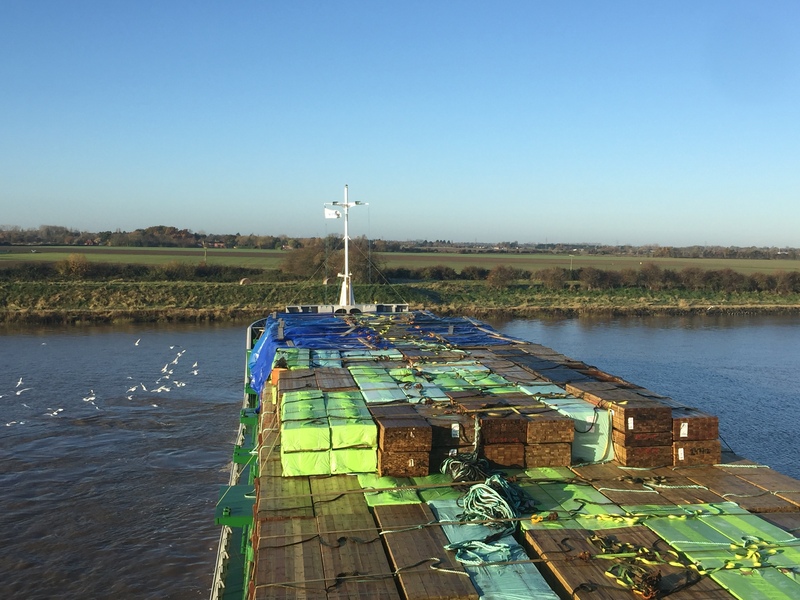 All vessels of over 35 metres in length are subject to compulsory pilotage by the King’s Lynn Conservancy Board. 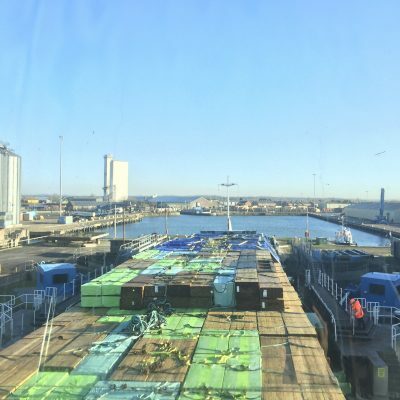 As a member of the board, in November I was lucky enough to be able to get out and see one of the pilot’s at work and see the port from ‘the other side’ so to speak. As access to the port is tide dependant, the day started by meeting the pilot boat at the port before dawn, ready to catch the morning tide. 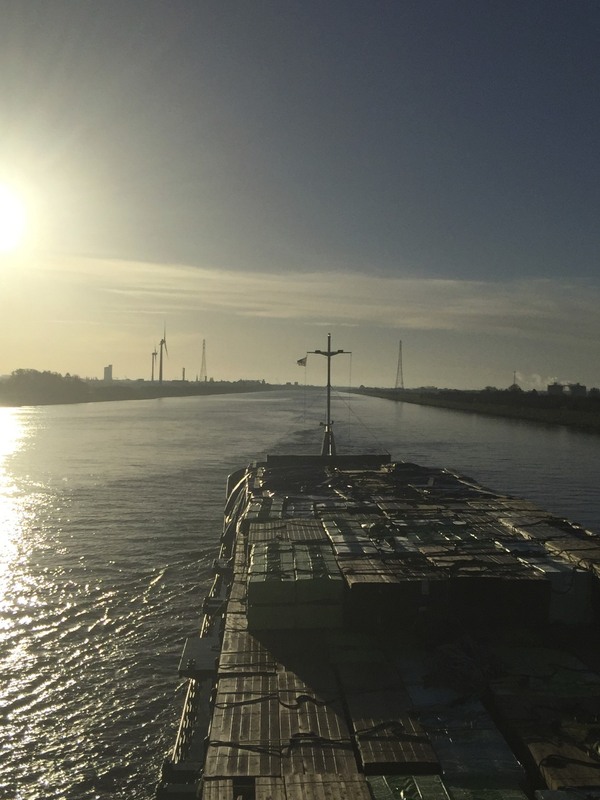 As the sun rose we raced up the river towards the sea to meet the timber ship that was waiting to be piloted into the docks. The buildings of King’s Lynn disappeared quickly leaving us in the wide, quiet & peaceful expanse of the Ouse heading out to the Wash.
Fields gave way to marshland, the odd wind turbine and seabirds. It was interesting seeing the town from the water and how sits in the wider landscape of the river. On the way up to meet the ship, the Pilots note the tide depths at various points along the way. 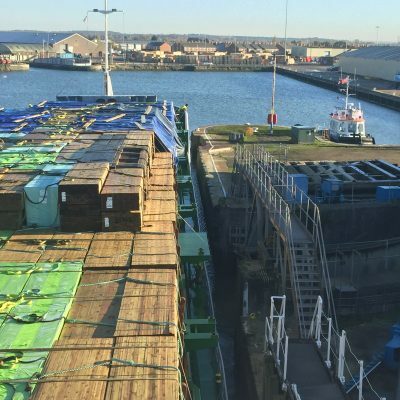 Getting a ship with a draft of up to 6 metres safely down a tidal river is a serious business, there is little room for error, so you need to know where the deep water is. The sea was calm as the Pilot and I transferred to the ship easily and made our way to the bridge, where the Captain handed control to the experienced Pilot, who knows the river well. 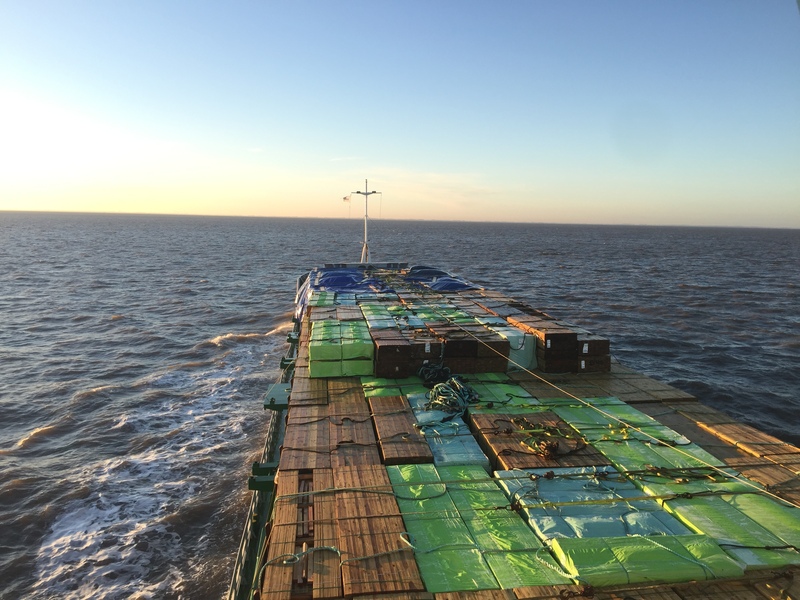 As sailors, we are told to give way and keep clear of cargo ships as they are limited by their visibility and ability to manoeuvre. It’s not until you’re actually on the bridge of one, you realise quite how true that is. 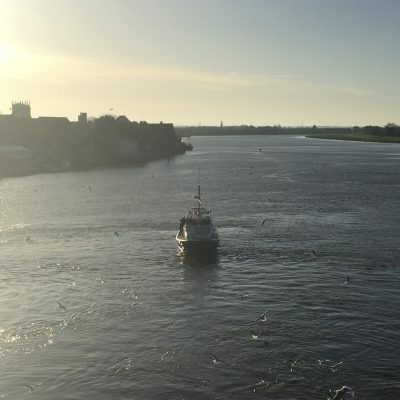 It was a much slower journey back towards the mouth of the Ouse and then down the river than it had been on the way up. But it allowed plenty of time to talk to the Pilot and Captain about their jobs. 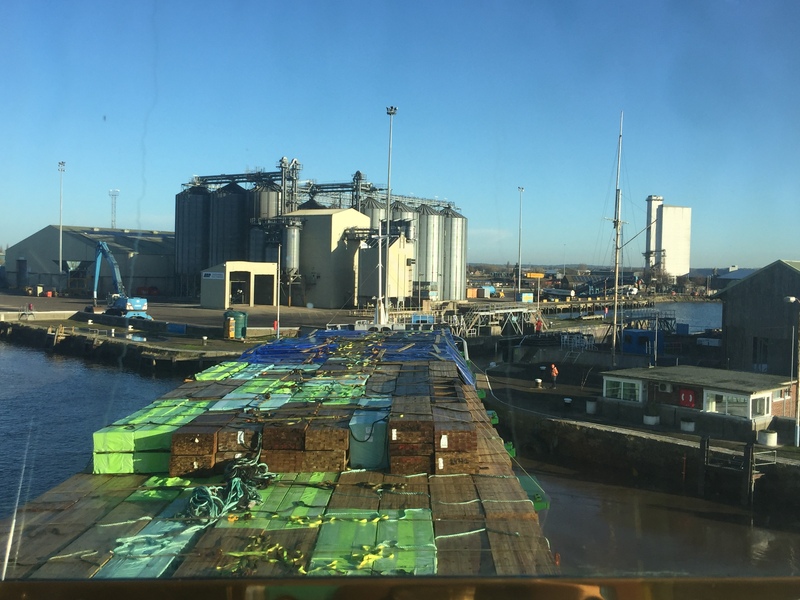 The ship had come from Sweden and only had a small crew on board, it was a regular trip and the Captain was looking forward to getting into King’s Lynn. Our Pilot for the day explained how with some ships, he would sometimes only have 50cm of clear water under the hull so it was crucial that he knew the depths of the tide and where the deeper water was. The route is clearly buoyed but it was obvious from watching that he knew this river well and knew exactly the best approach to take. Once again I was struck by the stark beauty of the landscape. I don’t know how many people head up the Ouse north of the town, but they really should. Not that long ago, the river would have been full of boats of all sizes. 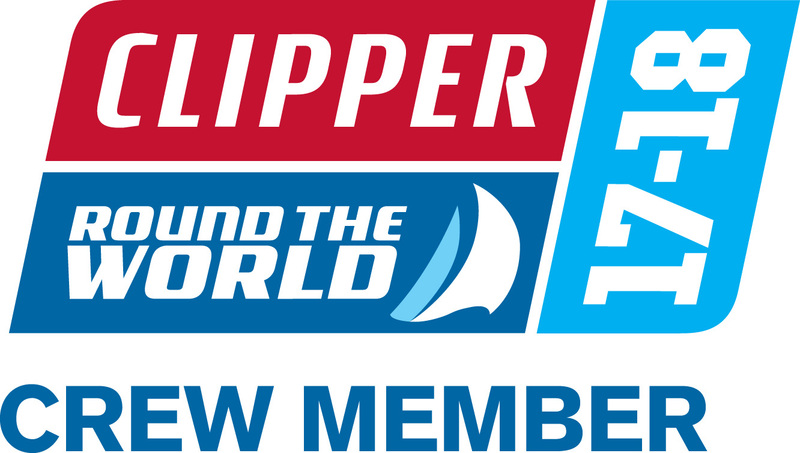 Everything from cargo ships, to small fishing boats and leisure boats. The fishing fleet is much reduced in King’s Lynn these days, as elsewhere, but they’re still there. Mostly hidden along the side of the port or down at Boal Quay, but they can be seen heading upriver on the tide most days. The river has played such an important part of the towns identity and heritage for hundreds of years, I found it strange that on such a beautiful sunny morning it was almost deserted. As you get closer to the town, the river starts to narrow. It’s then you start to see the knowledge and experience of the Pilot really showing, at times the ship headed almost diagnonally across the river staying with the deep water. 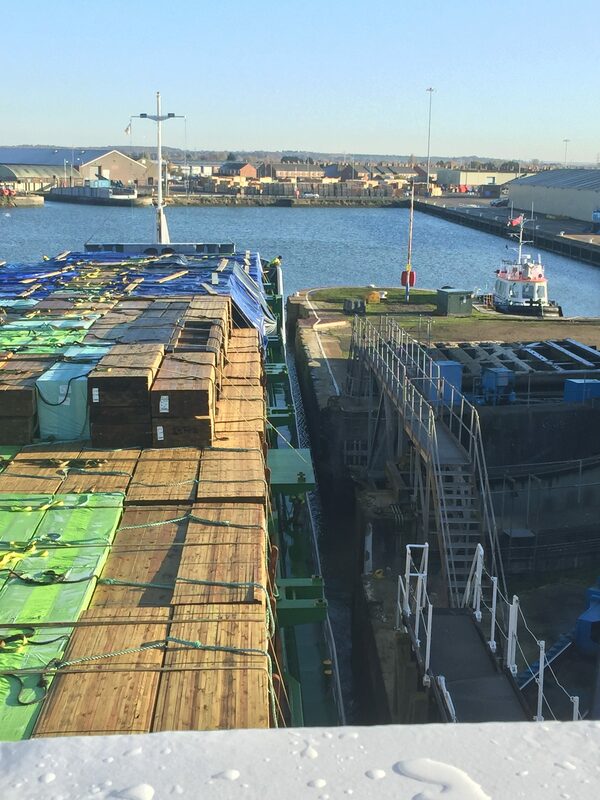 The ship was to be berthed in one of the enclosed docks so needed to pass through the lock. This involved completely turning an almost 100 metre ship in the middle of the River Great Ouse then approaching what looked like an impossibly narrow channel through the lock. Now, being what is commonly termed a “yachtie”, if I was the one on the helm, this would have involved panic stations and an army of fenders being deployed down both sides of my boat. With the aid of a few lines passed to shore and the impressive skill of the experienced pilot, the ship passed down through the lock without touching. There was less than a foot clearance on either side. By the time I’d had a chance to pick my jaw up from the floor of the deck, we were berthed and it was time to disembark. 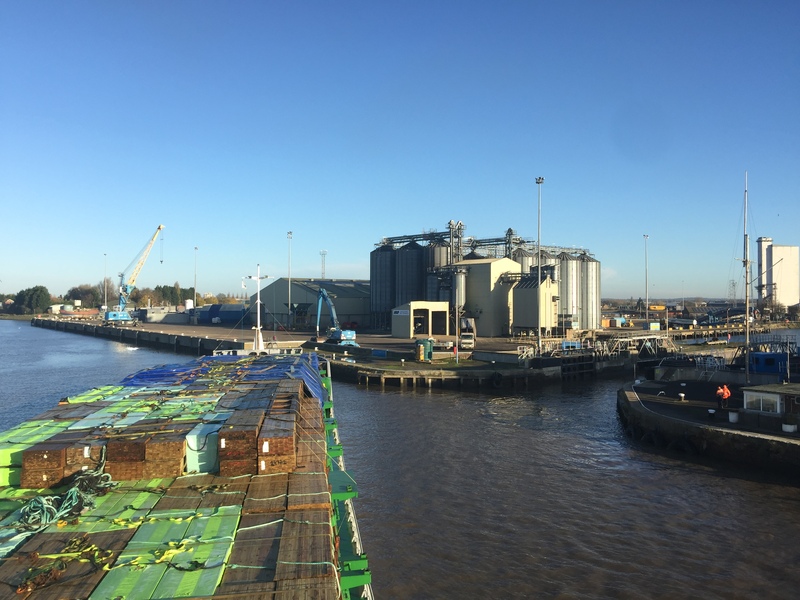 I learnt a lot about the River Great Ouse, King’s Lynn, it’s port and how it fits into the wider landscape and the transport industry. I consider myself privileged to be involved with the King’s Lynn Conservancy Board, the Port of King’s Lynn and it’s staff. There has been a port here for hundreds of years and with continuing investment, we can look to a positive and secure future.